Xue Shen and Hongbo Zhao of China currently lead after setting a new record score of 75.36 points. The three-time World Champions delivered an emotional performance to Queen’s Who Wants to Live Forever which featured solid side-by-side triple toeloops, a triple twist, and throw triple loop. Germany’s Aljona Savchenko and Robin Szolkowy are currently in second with 73.14 points. The two-time and reigning World Champions delivered a good performance to Send in the Clowns which featured a solid throw triple flip and triple twist, however, Szolkowy touched down with his hand on the side-by-side triple toes. Maria Mukhortova and Maxim Trankov of Russia finished third with a new personal best of 69.78 points with their performance to Secret Garden’s Appassionata. Their routine featured solid side-by-side triple toeloops, a triple twist, and a throw triple loop. Though they delivered a clean skate with no errors, Trankov was not satisfied. Despite coming in fourth, China’s Qing Pang (29) and Jian Tong (30) still scored a new personal best of 68.04 points with their routine to Bizet’s Je Crois Entendre Encore. The defending Grand Prix Champions lost touch during their final pair spin which didn’t receive credit, however, they delivered good side-by-side triple toeloops, a high triple twist, and triple throw loop. Teammates Dan Zhang (24) and Hao Zhang (25) are currently fourth with 66.24 points. The 2009 World silver medalists executed a high triple twist, side-by-side triple Salchows, and a throw triple loop. Russia’s Yuko Kavaguti and Alexander Smirnov sit in sixth with 62.30 points. Kavaguti struggled a bit on the landing of her jump during the opening side-by-side triple toeloops as well as the landing of her throw triple loop. 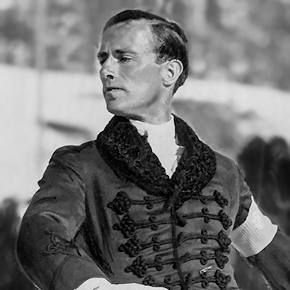 Gillis Grafström (7 June 1893 – 14 April 1938) of Sweden is considered one of the best skaters ever in compulsory figures and was famous for his interpretation of music. He won three successive Olympic gold medals in Men’s Figure Skating (1920, 1924, 1928) as well as an Olympic silver medal in the same event in 1932, and three World Championships (1922, 1924, 1929).